After a year of legal cannabis sales in Washington state, the industry nearly doubled expectations by generating $70 million in tax revenues. Furthermore, state officials are praising the professionalism of the new business, and state legislators have already approved a more friendly tax structure that will prevent the IRS from leveling punitive taxes on the burgeoning industry. The Washington State Liquor Control Board, which oversees the state’s legal marijuana industry, reported that pot shops sold $257 million worth of cannabis in the past year, which generated $64 million in taxes during the first year of legal operation, which began on July 8, 2014. With other state and local fees, the total is bumped up to $70 million. The state had estimated the first year of marijuana sales would bring in $36 million. To ease the burden on entrepreneurs such as Lathrop, Governor Jay Inslee recently signed a new, single excise tax of 37 percent, which is charged at the point of sale. The new tax structure will replace a three-tiered tax policy that required dispensary owners to pay federal taxes on the money they paid in taxes to the state. 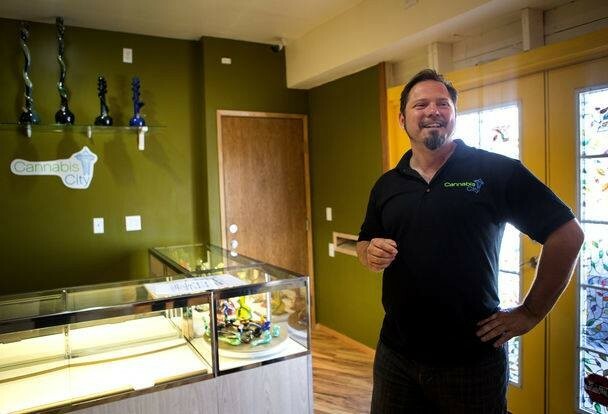 The new law is akin to a 37 percent sales tax, which means dispensary owners no longer have to claim it on their federal income tax. In addition, the new industry has proved itself to be professional and credible, according to Rick Garza, the director of Washington’s Liquor Control Board (soon to be re-designated as the Liquor and Cannabis Board). Garza said both Colorado and Washington, the two states that have a track record with legal marijuana sales, met the US Justice Department’s criteria and that both states followed policies that kept criminal elements out of the industry.